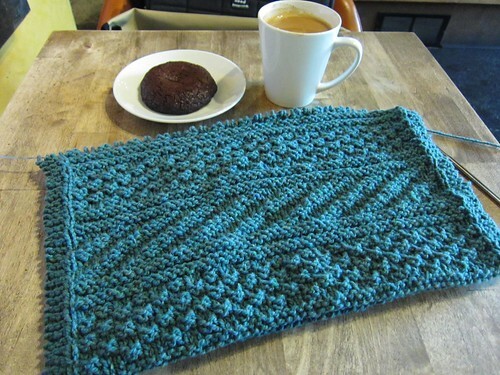 You know that feeling when a project just comes together… When the yarn and pattern just merge perfectly? Yeah, I’ve got some of that going on right now. 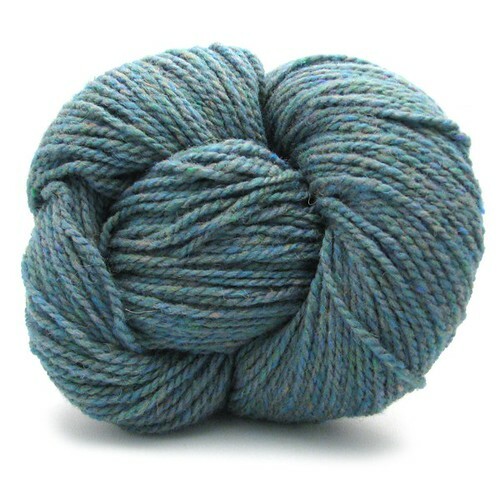 I’d been itching to cast on for the Guernsey Wrap and was hemming and hawing about yarn choice. I had very nearly decided to use up some skins of Shelter that were hidden away in the back of my closet, when I had a moment of clarity: Harrisville Designs. 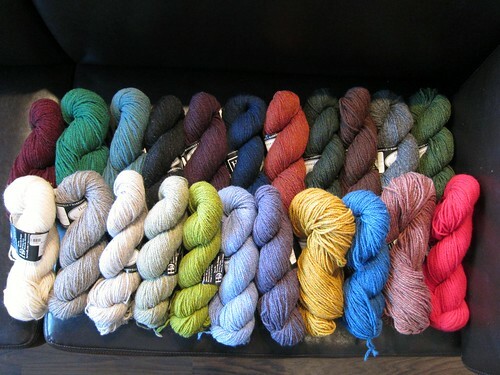 You see, over winter we restocked and now have more than twenty jaw-dropping colours of the New England Highland. I decided to work it over slightly larger needles because this thing is going to get massive after blocking, and I figure the bigger and wrappier, the better in this case. And the best part is that it’s pretty mindless! Nothing but knits and purls and a consistent stitch count for miles. This entry was posted on Thursday, February 28th, 2013 at 8:47 pm	and is filed under Uncategorized. You can follow any responses to this entry through the RSS 2.0 feed. Both comments and pings are currently closed.